Wolves runners Eric Martinek and Hayden Hollowell topped the field in the featured 11 km distance at the inagural Summer’s End Road Race in Fairview on Saturday. Martinek took an early lead, steadily distancing himself from the pursuing pack. He stopped the clock at 39:19, 2 1/2 minutes ahead of teammate Hollowell. 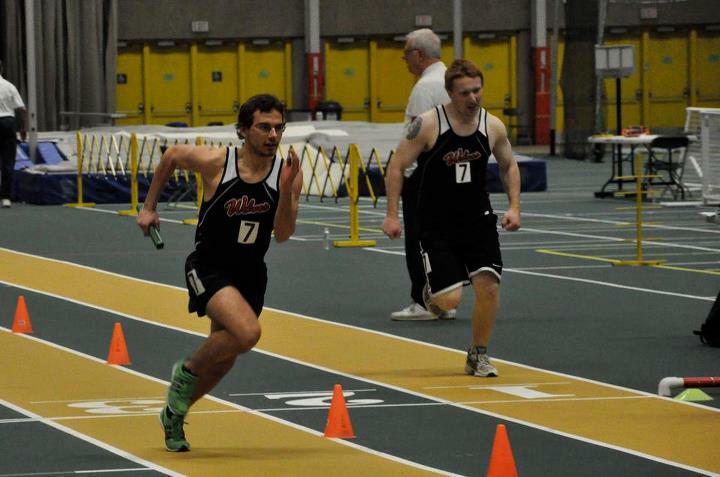 Four other Wolves Athletics Club members also had podium finishes. Marlene Corcoran won the womens 11 km distance, while 15 year old Danae Keddie was the top women in the womens 5.5 km. Bronze medals in the 5.5 km distance were earned by Linnea Saltel and Zach Malmsten. The Summer’s End Road Race was Race #1 in the 2012 Wolves X-C Running Series. Race #2, the Don’t Get Lost in the Woods Trail Races, go this Sunday at the Wapiti Nordic Trails. the Online Registration deadline is on Friday. This entry was posted in Cross Country, Uncategorized and tagged AB, ACAC, Fairview, GPRC Wolves X-C Running, Running, Summer's End Road Race, Wolves, Wolves X-C Running Series, X-C running. Bookmark the permalink.